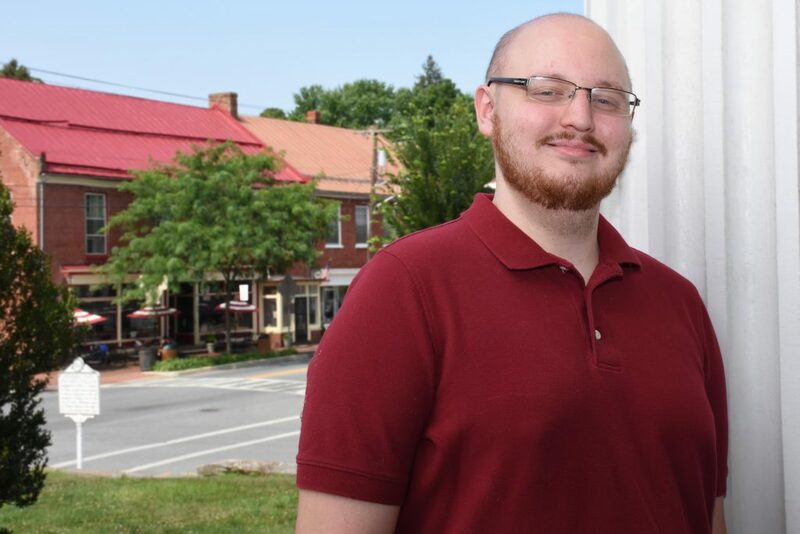 The McMurran Scholars Association has awarded its newly endowed 2017-2018 scholarship, established through the Shepherd University Foundation, to graduate student Christopher A. Korcsmaros of Martinsburg. The MSA Scholarship is designated for McMurran Scholars attending Shepherd University as full- or part-time graduate students. The annual McMurran Scholars Association Scholarship was established in 2011 in honor of the 50th anniversary celebration of the McMurran Scholar award, the highest academic honor at Shepherd University. Created by the McMurran Scholars Association, the scholarship is the first privately funded scholarship for Shepherd’s graduate program, having awarded a $1,000 scholarship each year since its inception. In celebration of the 55th anniversary of the creation of the McMurran Scholars in April 2016, the MSA challenged all McMurran Scholars to make gifts to endow the McMurran Scholars Association Scholarship so that it may continue to financially assist deserving graduate students into perpetuity. Scholars responded with privately funded gifts in order to successfully reach the $25,000 goal. “Receiving this scholarship award tells me that Shepherd, as an institution, recognizes academic discipline and high achievement,” said Korcsmaros, who entered Shepherd’s Master of Arts in College Student Development Administration (CSDA) program this fall. The CSDA program is a 36-credit-hour graduate program for those who are interested in pursuing or advancing a career in collegiate student affairs or enrollment management. Korcsmaros graduated from Shepherd in 2013 with a B.S. in business and economics. Currently self-employed as a math tutor, he plans to pursue a career path serving college students in either academic services or residence life. “My goal is to help students integrate into a world that is much larger than what they might have originally considered,” said Korcsmaros. He added that his scholarship will help defray the costs of graduate school so that he may focus on his work both in and outside of the classroom. The McMurran Scholars Association, sponsored by the Shepherd University Foundation, promotes and honors scholarly inquiry and academic excellence among those students who have been named McMurran Scholars at Shepherd University. The organization seeks to model applications of scholarly work both on campus and in the wider community, provide networking opportunities among its members, and mentor current Shepherd students. The McMurran Scholars Association welcomes all McMurran Scholars interested in donating their time and talent to the organization. In addition to mentoring, scholars may become involved by attending quarterly meetings, planning events associated with homecoming and the annual McMurran Scholars Convocation, or making a donation to support the MSA Scholarship. To learn more about the McMurran Scholars Association, please contact Kim Hutto, director of alumni affairs, at 304-876-5157 or [email protected].